A Northern Virginia high school said extra security would be present Monday after someone circulated a fake image to threaten students. The stepped-up security came after a manipulated image circulated on Snapchat resembling the county school system's online calendar, with an entry for a "school shooting" for Monday. That threat was believed to be targeting Forest Park High School. Prince William County Public Schools became aware of the image last week. The school system believes someone created the image on a personal device and then posted it. Although it looked official, it never appeared on any of the school's online platforms. 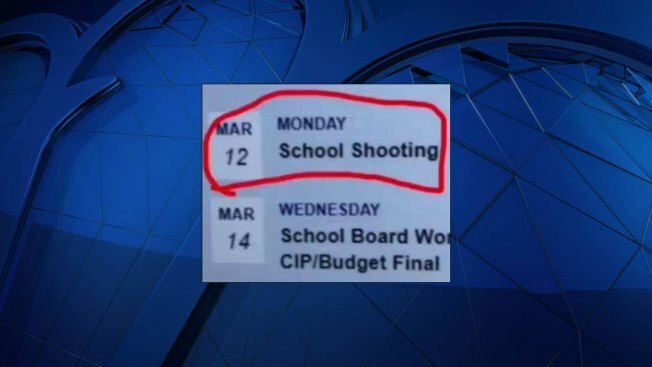 NBC4 earlier reported that someone hacked the school's online calendar.